Online registration closes at 4:00pm February 8th. Registration can also be completed in person at the day of the event. Registration is $100. This includes entry to all skiing events and an event T-shirt! The price is the same whether you choose to ski in 1, 2, 3 or all 4 of the events. Please register online. 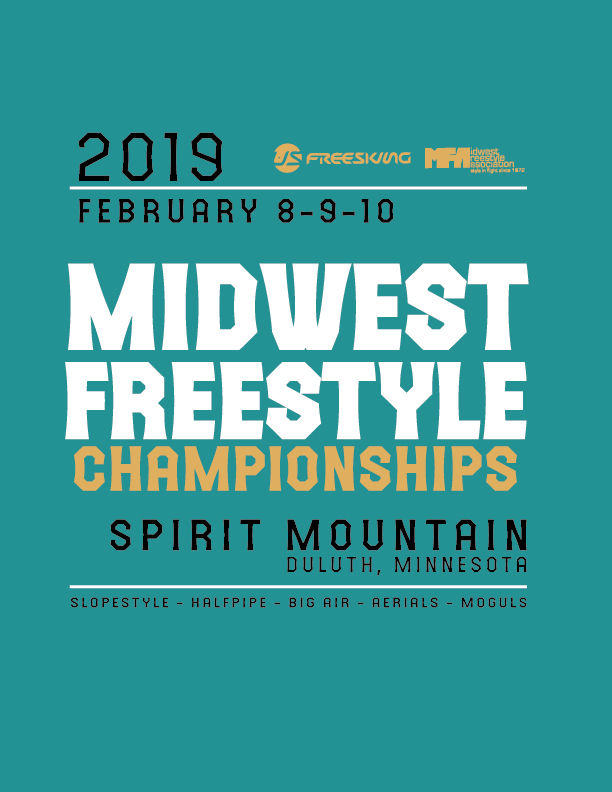 Limited onsite registration available – Cash or check payable to Midwest Freestyle Association. We will crown our Midwest Champions! 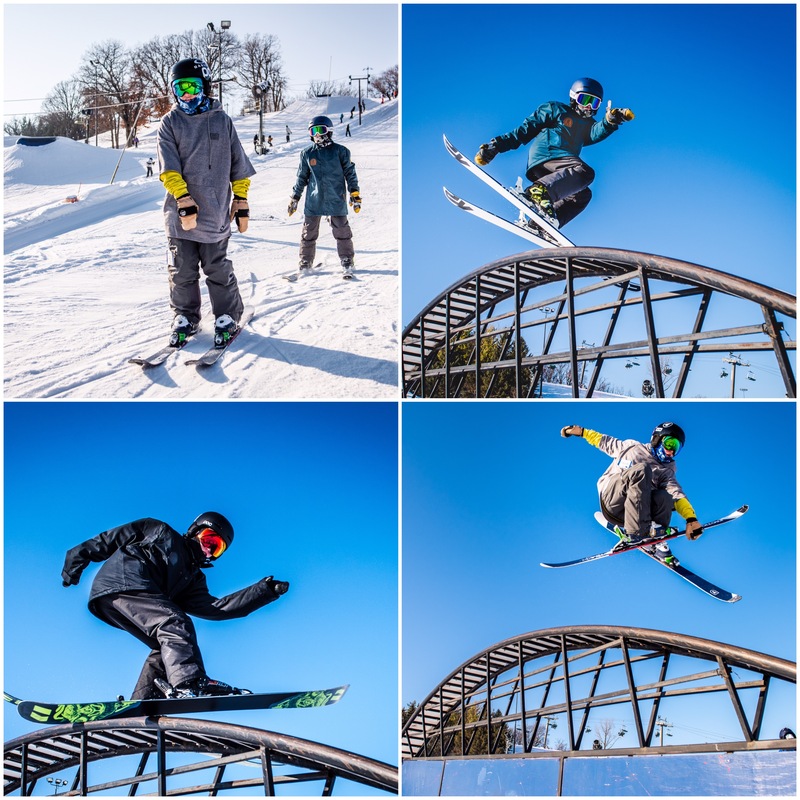 Don’t miss out on a massive weekend of competition this Friday, Saturday and Sunday, Feb 8, 9 & 10 at Spirit Mountain! Registration at 9am downstairs in the Spirit Chalet, slopeside room! We will run straight through the Slopestyle event and then move to Halfpipe training & Competition. 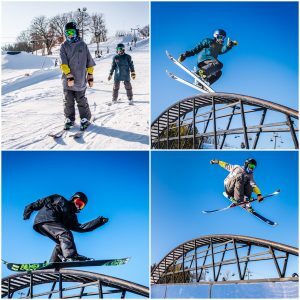 THE FIRST Freestyle Skiing COMP of the season IS January 4 & 5, 2018! Friday Big Air at Hyland and Saturday Slopestyle at Hyland!! Step 1) You will need a valid USSA license (details on how to get this are below). Please obtain this license before the event. PROOF OF AN ACTIVE USSA LICENSE WILL BE REQUIRED AT EVENT REGISTRATION. You are able to print your card from your account on the USSA website. Step 2) You will also need a completed MFA registration form. Please print this and bring the completed form to registration. This form requires a parent signature, please plan ahead.. Step 3) Registration is $35 for one event, $60 for two events. 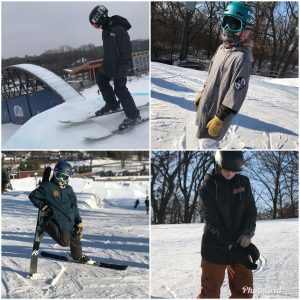 Cash or check payable to Midwest Freestyle Association. We hope to have the online registration active by this Sunday. Link will be posted to Nybora social media and website. Step 4) Bib fee of $35. If you already have a black MFA bib, bring it with you. You are all set. YOU WILL NOT BE ABLE TO SIGNUP FOR USSA AT HYLAND. PLEASE REMEMBER TO OBTAIN YOUR USSA LICENSE BEFORE THE EVENT AND TO PRINT AND BRING PROOF OF MEMBERSHIP TO REGISTRATION!!! And… once again this year, Central is the ONLY division WITHOUT a division fee! So you just need to get your USSA License (outlined above) and you’re set! Introducing nybora/saga outerwear. These are limited edition, as a result only a few sizes available in each style. 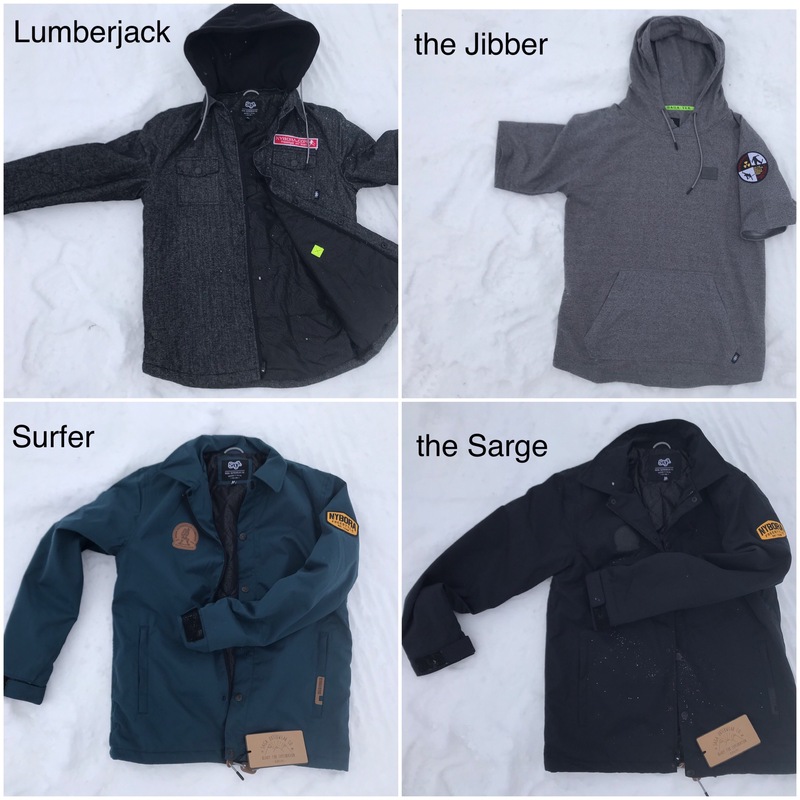 Only available to current season skiers. 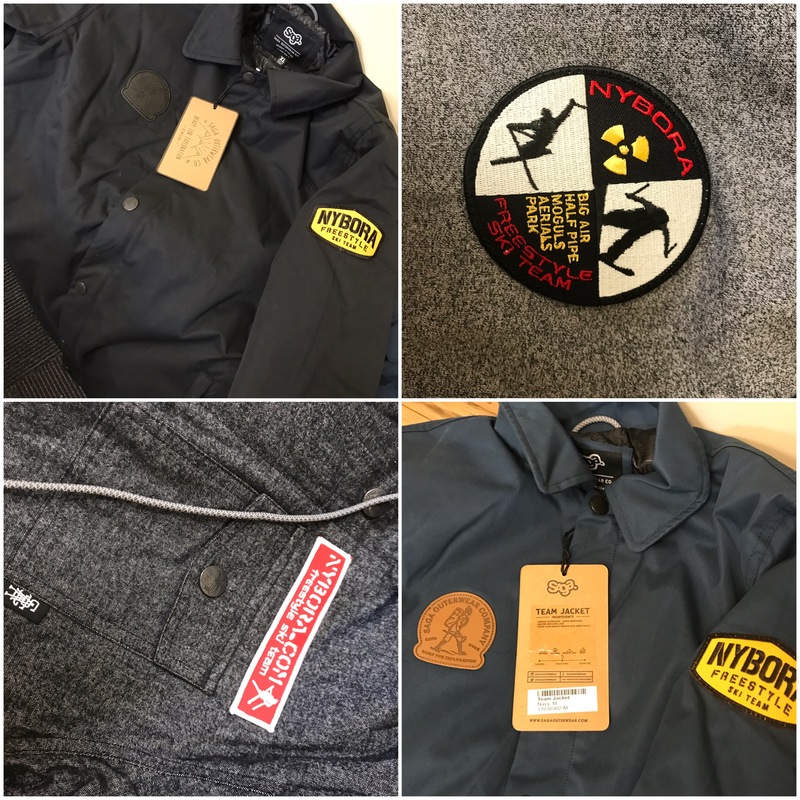 Pricing and availability will hit your email box at 5pm December 10th (the email box(es) you provided for nybora registration). First come, first get. 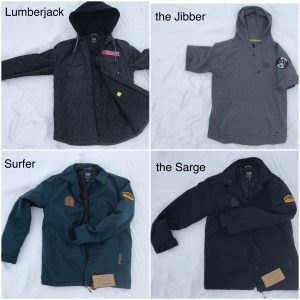 Just reserve by responding to the email with your item, the size, and your name. Pick up starting Tuesday December 11th at 7:30pm, Hyland Chalet, lower level. Are you a competitor? Here it is, the 2019 MFA Competition Schedule. Dates subject to change, check back often.